Welcome yourself in as an active participant in your thinking. You create your own direction by noticing. You are both participant and observer when you make consious choices. If directed to this page by the tag on your glass touchstone welcome. Thought Images has taken a picture of your glass touchstone. That is why your piece came with an identification number. Once you have a touchstone in hand or have chosen a touchstone example it is time to start creating and discovering your own direction*. The Process - Compiling the information is simply answering questions and allowing yourself to follow your natural direction. are inspired by an empty sheet that allows them to follow their own direction. like a structured path or guided direction. desire a combination of both directions. Whatever direction you feel comfortable taking is the correct direction for you. You can skip around, answer some questions twice or answer a question that has not been given. Allow yourself the freedom and time to ponder and enjoy the process. What was your first impression of the piece? What feelings or quality do you want more of in your life? When you ponder the roads you have traveled what desire do you notice? Why were you attracted to this particular design? Is there a color that is stronger to you in this design? Do you see a shape in this design? Tell me about the relationship of the element in this piece? What do you see in this design? What does this design trigger in your thoughts? Do you have naming suggestions? What are they? Answer all the information gathering questions before you read this. Look again at the colors and see if the following information rings true with you. All the colors work together and support each other in the vibration of your finished piece. But some colors, shapes and amount of objects may be more meaningful to you. Here are a few ways of looking at the colors in your piece. Read them and add the parts that ring true to you to the information you have already gathered. Use this information as a taking off point to looking or relooking at the colors in your piece. Think of amber as solidified energy. This will allow you to have a clear image to connect with when you are working to allow more positive energy into your life. Amber is a golden tone. The suns energy absorbed by earths trees and processed into the liquid of our wooden giants/friends. Amber is the life blood of the pine tree compress over time and crystallized into a golden tone that we call amber. This color is the color of resin the life blood of living trees. This rich tone represents a store house of concentrated abundance. When I see the amber glass I am reminded of an abundant supply of energy ready to be channeled to all areas of your life. Its golden tone warms up your thinking. It is the candle in my pallet of colors radiating the warm glow of support for your intentions. You have the strength and energy to allow more abundance into your life. Amber contains the glow of sunlight. This hint of dark honey symbolizes the awakening or opening up to new possibilities. Think of Amber as concentrated abundance or solidified energy. Your energies warm glow supports your intent and allows nourishing energy into all areas of your life. Think of Olive as your connection to natural earth rhythms. This will allow you to find your flow and feel the grounded strength of nature. Olive is an earthy tone. It is rich with earth’s luscious bounty. It is seed, soil, growth and harvest. It is the essence what we use to flourish. It is the elixir that allows us to be in the process and flow with our natural rhythm. It is the balancing force that feeds our need to notice the greatness of self. You are a part of the big picture a necessary element in the growth of thought. You are the thinker. Our imaginative thoughts create the possibilities that we choose to embrace or limit. Olive is a powerful remainder of the value of a flowing, growing thought. Think of Olive as the grounding strength of pure natural energy. It is the balance that allows you to notice your value and think thriving thoughts. Think of green as a connecting to your ability to think and produce healing energy. Every area of your life thrives when exposed to the power of thought energy. Green symbolizes healing or the wish for healing. The heart charka is the color green. So green is the perfect tone for releasing and healing. Green is a mixture of blue for clarity and yellow for sunshine. When you plant a seed it needs the mixture of water and sun to thrive. Green is a make me smile color. Think of green as awareness of your wonderful ability to think and manifest your intent. Picture yourself embracing each area of your life and bathing it in healing energy. Think of Blue as the flow of unlimited possibilities. Notice the vastness of sky and oceans. The air and water compose a large portion of your being. Blue as symbolizes by air. It is the color of the sky on a clear day. It is the nurturing from above as olive is the nurturing of the earth below. None of the colors stands alone. Blue needs the greens of the earth to release the oxygen. So we can continue the dance of breathing. Think of Blue as the flow of unlimited possibilities. You are the breath of air and the flow of water that clears limitations. Think of clear as the illusion of empty without being empty at all. It is a space like a seasons pass open and available for your use. Clear is transparent. It is space, time and opportunity to change or stay the same. It is the opening to notice the choices you can hold or release. 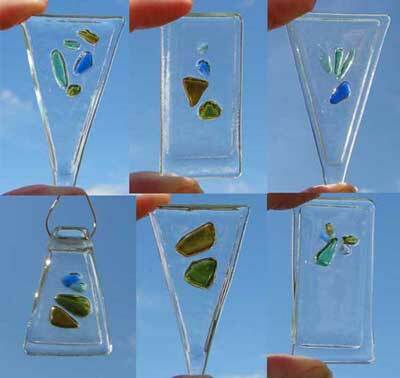 Since glass is liquid made solid it has the flowing form of possibility to frame your choices of colors. Clear is the illusion of empty. It gives you the opportunity to notice and use your power of choice to attract thriving thoughts and expect positive outcomes in every area of your life. Here are a few ways of looking at the numbers in your piece. Read them and add the parts that ring true to you to the information you have already gathered. Use this information as a taking off point to looking or relooking at the elements and numbers in your piece. One is a targeted request. Two is an alliance of duel forces. Three is a natural balance a visual triangle. Four is a defining of space but causes stress. Choosing one piece to play a more prominent role allows four pieces to flow happily. Five is enough to form a cluster but not too numerous to count. Five tends to symbolize a wait and see feeling which breaks down to a variety of possibilities. Unless one element is seem as a dominant uniting force. Six is distracting. It can be viewed as two groups of three or three groups of two. Seven is big enough to feel like a group of individual things not easily organized. Possibilities are many and conflict becomes less likely. If there posture in not confrontational or uniform they could be open. As far as your eye and thinking is concerned everything beyond ten is a group, a shape or a pattern. Remember your mind is always seeking to make it easier for you by developing patterns. Often times the most dominant color or shapes will attract your notice and suggest a pattern. Nine can be read as three groups of three or by color groups. If you prefer a certain color it will follow your preference. You will see the amber, green, olive or blue sub group and not notice the entire grouping. If there are eleven pieces and you only notice seven then work with the seven. It is all about you and your perceptions. Stop for a moment and reread the questions again. You might find that you have new awareness to add to your first reading of the questions. Once you are pleased with your results and happy with your name suggestions think about sharing your direction. If you choose to share your direction by submitting your perspective (answers to the Targeting Thoughts Questions) remember to include the ID#. We also request your first name and first initial of your last name to be used when naming your piece or posting a part of your impressions. If you choose to give us your e-mail address it will only be used if I am in the process of considering your perspective as part of shared directions. It's time to share. Type or copy and paste the answers you have already organized in the space below or answer the following questions. What was your first impression of your touchstone? What feelings or qualities do you want more of in your life? Do you see a shape in this design? Tell me about the relationship of the elements in this piece? What do you see in this design? What does this design trigger in your thoughts? Why do you like it? Do you have naming suggestions? What are they? After reading "a helpful next step" what new insight do you have? What part of the color and number combinations ring true to you? What does the color "amber" say to you? What does the color "olive" say to you? What does the color "green" say to you? What does the color "blue" say to you? What does "clear" say to you? If you choose to give us you e-mail address it will only be used if we are in the process of considering your perspective as part of shared directions. We do not share e-mail addresses. After reading your direction I may agree with you that it is a perspective worth sharing with others. If so I will combine some of your words and the photograph on file with my impressions and place it in line to be posted on our site or used in exposing more individuals to the joy of thinking and finding their own direction. *Please note: Our touchstone examples may change. They will be replaced as examples then added as shared direction with a group of perspectives submitted to us by people wishing to share their direction.